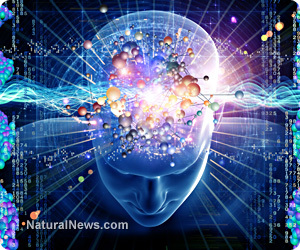 (NaturalNews) What role can positive thinking have on our reality? More importantly, how do you feel about positive thinking? If you feel that positive thinking has little influence on reality, if you believe that positive people are fake people, that positivity is all for dreamers who can't face reality, then you do not understand the power of thought, belief, feeling, and action working together to attract positive results. Positive thinking will fail you if your desires are not clear and in harmony with your belief and action. You have a unique ability to attract both positivity and negativity. If you want a life of purpose and joy, you have to think beyond what is in front of you and truly believe in the invisible. New results are attainable, attractable, achievable. When thoughts, beliefs feelings and actions come together in unity, your own reality can be manifested. A positive thought can attract similar positive energy when your feelings and actions align with it. What is holding you back in your spirit? If you feel that the outcome is impossible, then it will always be just that - impossible. You set the limits. You can accept a new universe of faith and explore the infinite, if you let it happen. It's not what happens to you that determines your reality. It's what you do about it. You can change your world for the better. The power of positive thinking is connected to how strongly you feel about the desired result. Passion can guide that feeling, taking a thought and creating a reality through dedicated belief and an unrelenting feeling of commitment to the goal. The power of positive thinking comes from more than just the bantering of positive words and phrases. Saying positive words is nice, but if you don't feel good intentions behind what you say, if you don't believe that the positive words will have an impact, then those positive musings may have little to no effect at all on your life. Turn words into positive affirmations. Boldly acting in faith, always pressing forward with committed energy, will carve a new destiny, moving stubborn mountains. Action must be taken to make a positive thought and a strong feeling react and move into existence. Actions must be backed by endurance, as you move forward despite opposition. Your dream may meet many different forces of negative, opposing energy. Continuous forward movement will push you through the struggles. Don't focus on the struggle. When something doesn't work out the way you planned, always believe that something better is about to be attracted. Reality can be deceptive. In a way, you can manipulate your current circumstances and change your reality by giving thanks. Many times our thought patterns can attract the same life circumstances over and over again because we are constantly disgusted with the result. Instead, be thankful. In order to manipulate what we see and change it all for the better, we must learn to envision something completely different. To change the course, we must then feel strongly about the fruition, showing and thinking with no doubt. Finally, we must move in ways that correspond to the manifestation of that thought. Looking for a soul mate? Go out of your way to include them in your life and be thankful that they are there, even if they don't exist. Want to be a more generous man of wealth? It's time to stop thinking that you live paycheck to paycheck. Start giving more to the deserving in preparation for who you are to become. Want to be healthy? Start thinking, feeling and acting the way healthy people do. Hang out with them and do what they do.